Bone Dry is part jam band and part acoustic rock show with a groove. 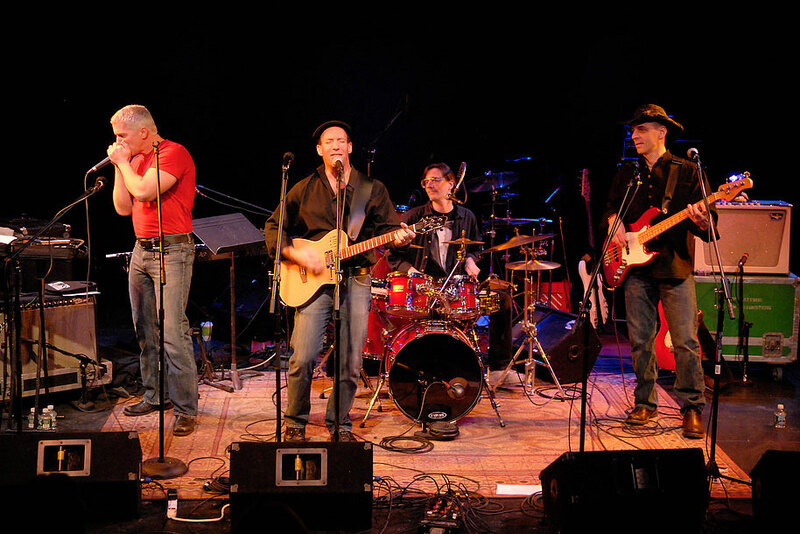 A dynamic and entertaining live act that has thrilled thousands with a proven mix of original music and beloved radio-friendly repertoire, Bone Dry is one of Connecticut’s treasured live local acts. Bone Dry can usually be seen indoors and outside (in spring/summer) in local venues across CT and has opened for national acts including BB King, The Fabulous Thunderbirds and James Montgomery. Sharing the stage with bassist Rob Fried is Barry Blumenfield (guitar, lead vocal), Jerry Vigorito (harp, vocals), Chris Pike (drums, vocals). Bone Dry usually adds electric guitar from a deep, talented pool of local musicians. In addition to original tracks, Bone Dry plays music from The Grateful Dead, Neil Young, Keb' Mo, Van Morrison, Bruce Cockburn, and many other artists.